Freshly renovated 1 bedroom + den unit at SOUTHWYND. All new carpets, paint, kitchen with quartz countertops, tile backsplash, under mount sink, new pot lights, and breakfast bar added; bathrooms with quartz counters, new lighting, and fixtures; top to bottom refresh. South facing, with 9 ft ceilings throughout. One of the most desirable strata communities in the area. 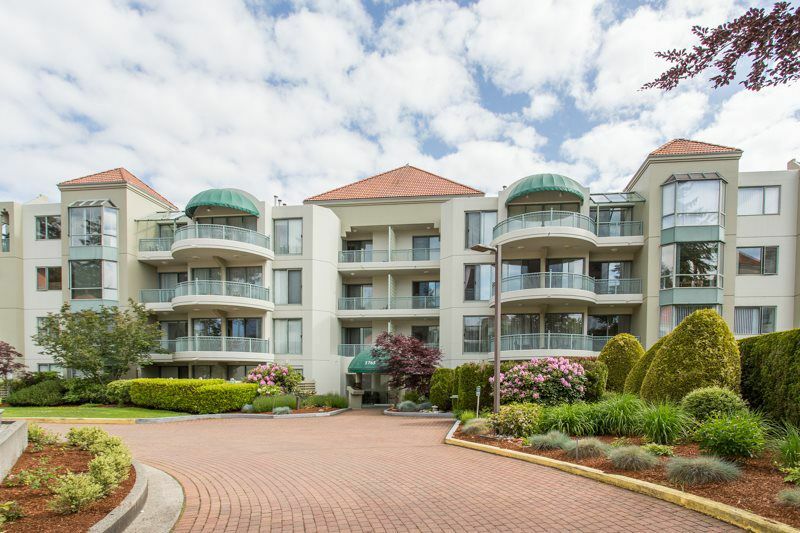 Just across street from Semiahmoo shopping mall, doctors, dentists, restaurants, etc . AMAZING LOCATION !! Expansive leisure center/clubhouse, workshop, and storage. Adult oriented with 19 yr age restriction. No pets, no rentals. Low rise CONCRETE CONSTRUCTION, built by reputable Bosa.